Got an online business but no marketing plan for that? Hang on buddy! You are probably driving your car with the one tyre punctured. This happens. On and off this happens with the majority newbies e-biz entrepreneurs. However, without having an effective marketing plan for your eCommerce business isn’t a rational approach at all. 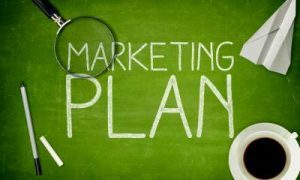 So, before you dream about the success, we would rather ask you to consider your marketing plan. But the question that arises is, how to develop an effective marketing plan for eCommerce business. A plan that guarantees success or at least a portion of success. So, let’s take a look and find out what are these and what are some fundamental aspects of these. Say you have to go to enjoy a weekend with your family. You leave your house and after covering half the distance, you come to know that the roads are blocked. Above all, you are not sure if there’s another road. Wouldn’t that be better if you had already planned and acquired all the relevant information? The very same way, setting up your marketing goals is the first and foremost aspect. Your marketing goals should be definite, executable and measurable. It’s witnessed that quite often the goals are not rationale at all. In addition to that, these are not synced with the organization’s strategic vision too. In such an instance, the chances of a plan’s success gets fade with the time. As a matter of fact, asking yourself questions like; What are we looking to achieve? How will we know if we have achieved it or not? Such questions will help you to have attainable and better goals. These have been helpful to many and these are… Split up marketing strategies is another integral part of effective marketing for your eCommerce business. The businesses that don’t comply or adhere to such techniques may not gain the prospective results. When it comes to split-up strategies than for any online business, its important to consider both, Ongoing channels and on-off campaigns. On-going channels primarily include all those channels that your business have been using to market the products. These can either be platforms like Google AdWords, Facebook Ads or any other means. 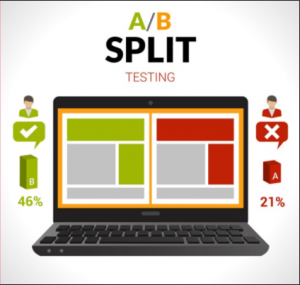 Though it’s important to keep on doing A/B testing b introducing new ideas and variants. However, on-going channels should keep on going for a long time. Call it an event targeting or an On-Off targeting. It’s a kind of targeting that goes on from season to season or sometimes on a particular event. When planning one off campaigns you want to focus on channels, budget and timings. This way you know exactly what channels are part of the campaign, when you will be advertising through them and how your marketing budget is split between them. It’s also very good practice to try and forecast how your success metrics will perform for each individual channel so you have an idea about how well each channel actually performed. This can help you optimize your marketing mix in the future for similar campaigns. For any eCommerce business having a conversion plan is important. 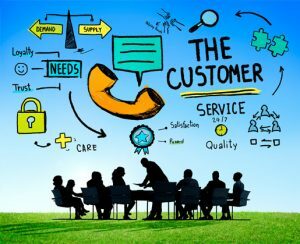 The conversion plan focuses on the customer’s journey. In order to have an effective marketing plan for your eCommerce business, it’s the place where e-biz owners can test potential improvements to the UI/UX and on-site marketing campaigns to improve conversion of a specific goal. The research experts of world’s first free eCommerce platform believe that it takes much more to retain a name or the customer as compared to have it for the first time. It is therefore important for any eCommerce business in general to think about the ways for maintain and retaining the businesses. With all the above mentioned hacks for an effective marketing plan for your eCommerce business, we would like to wish you good luck with all of your future endeavors. Still, you want to know more of the hacks and prop tips to make you eCommerce website successful, stay tuned to our blog.